This atypical monument, inspired by the Torre del Mangia in Sienna, commemorates the arrival of the Pilgrims in the United States. At 252 feet – the highest granite structure in the country – this monument is visible from the entire town and even a great part of the Cape. 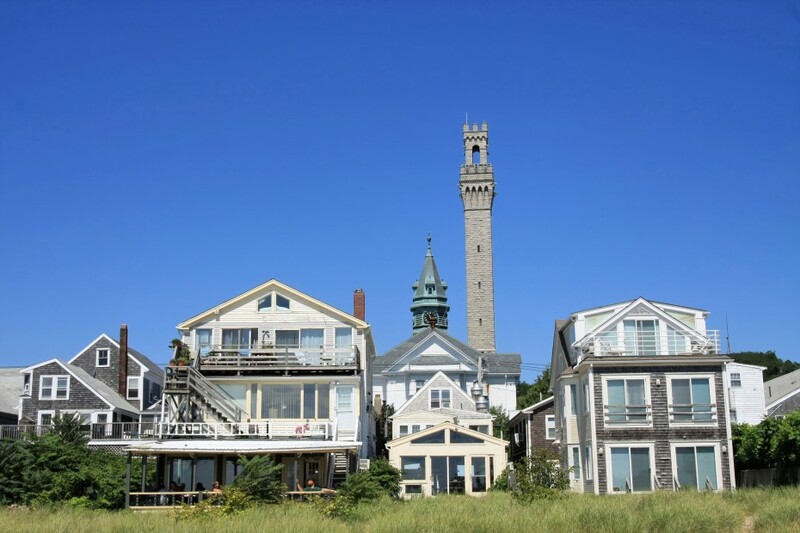 After ascending 116 steps, you can admire the splendid panoramic view surrounding Provincetown, the dunes, and the Atlantic Ocean. 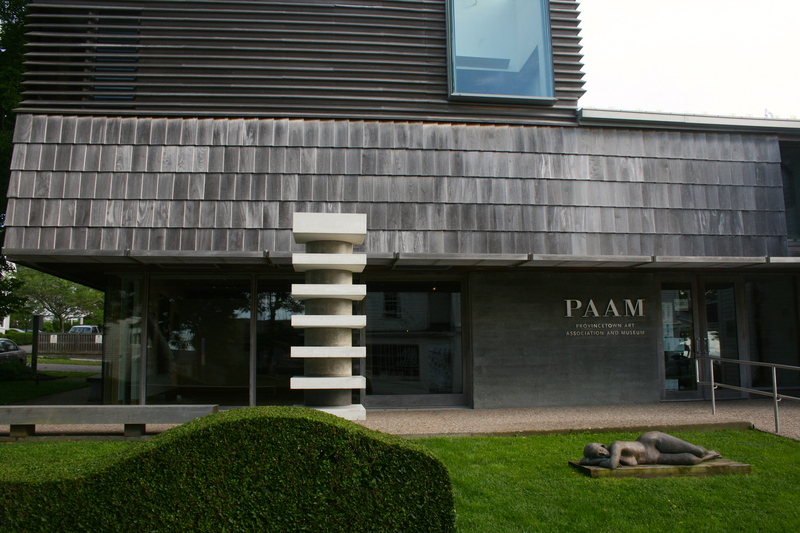 Surrounded by a lovely garden and sprinkled with bronze statues, this museum provides us with a selection of its impressive collection comprised of at least 2,000 works realized by 500 artists having lived on the Outer Cape since 1914). During the summer, the museum organizes a number of activities, concerts, and studio workshops…so don’t hesitate to inquire! This center offers studio workshops for writing and the visual arts, during the summer, in collaboration with the Massachusetts College of Arts. Throughout the year, this center stays open for lectures and conferences. Since 1972, the Truro Center for the Arts at Castle Hill has provided a wide range of art education for adults and children, including week-long workshops, topically relevant lectures, concerts, poetry readings, art gallery exhibitions and more. Castle Hill offers year-round classes and contains a well-equipped printmaking studio and additional studios for painting, photography, sculpture, writing, jewelry making and ceramics. 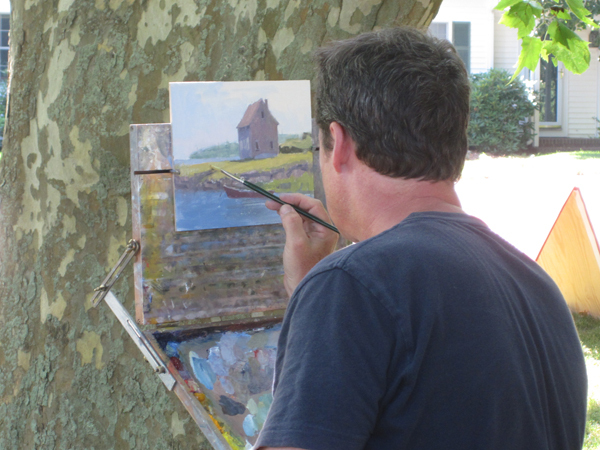 Castle Hill also has a variety of culinary and garden arts classes to choose from with over 145 total classes that range from painting frescoes to several en Plein Air painting workshops; a genre adopted for decades by Cape Cod artists. The center is nestled in the dunes of Truro and within walking distance to Cape Cod Bay. It is an inspirational and meditative setting that is beneficial to a creative learning experience. 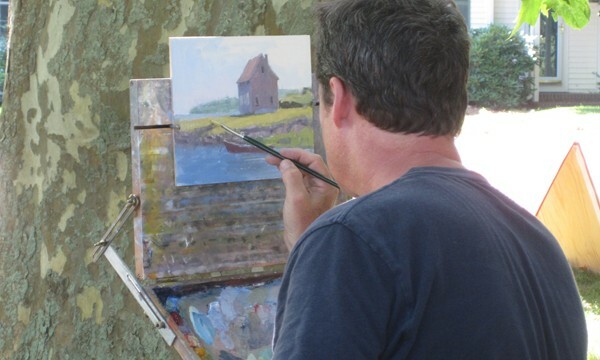 The faculty consists of renowned, practicing artists who travel to Cape Cod from all over the United States. Their student body consists of both beginners and experienced working artists who come to learn and invigorate their studio practice. The center is a partner with the Highland Center at the Cape Cod National Seashore and together built the first and only wood-fired kiln on Cape Cod. This Summer Castle Hill is very excited to honor Bill McKibben, as the Woody English Distinguished Artist and Writer’s Chair. He is the internationally known author and environmental activist who founded 350.org. His lecture will be at the Wellfleet Congregational Church on August 11th this summer. 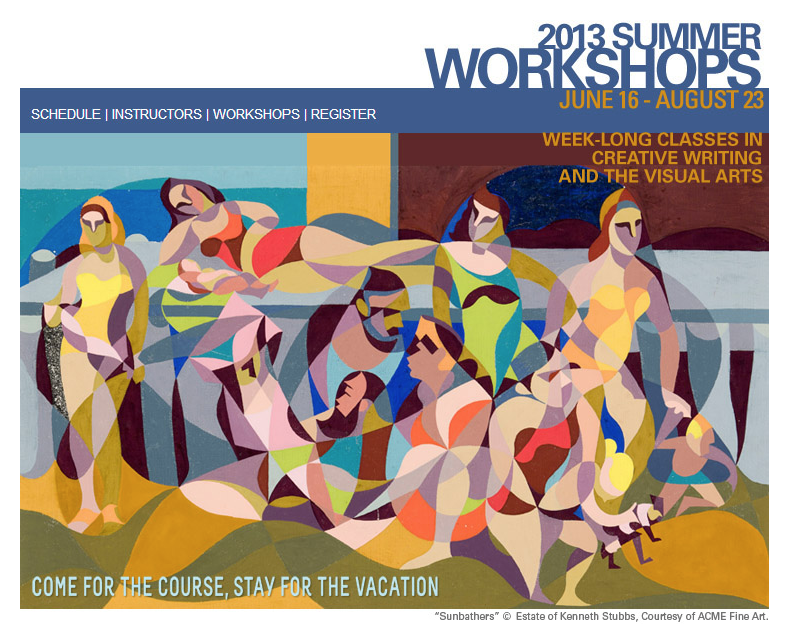 For more information about all lectures and workshops visit castlehill.org, call the center at 508-349-7511 for a catalog, or on our blog: http://www.visit-provincetown.com/en/blog-ptown/ for the 2013 summer program. Commercial Street is brimming with galleries, very dynamic in the months of summer, where you can find yourself surrounded by a variety of work but also a great quantity of local artists, but also national and international ones. Not to miss are the great gallery openings Friday nights: the perfect occasion to meet the artists, collectors, gallery owners, all in a casual and unpretentious atmosphere, with wine glass in hand.